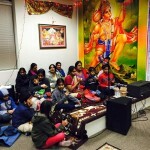 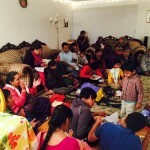 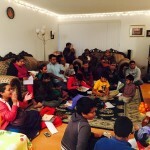 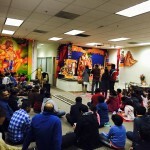 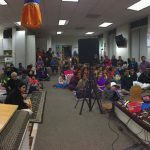 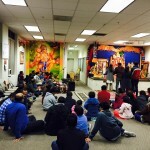 Bay Area GOD Satsang welcomed New Year 2015 with two satsangs on Thursday, January 1st 2015. 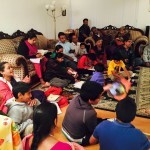 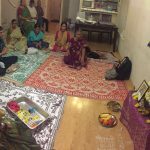 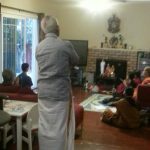 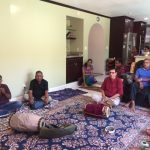 The first satsang was held at the residence of Sri.Rajesh Dorai and Mrs.Nithya Balasubramanian. 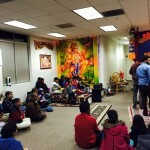 The satsang commenced with Nama Sankirtan, followed by rendition of kirtans composed by Sri Swamiji and concluded with Vishu Sahasarnamam. 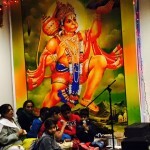 This was followed by another satsang at Sankat Mochan Hanuman temple in Newark,CA. 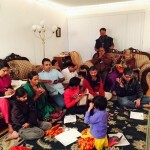 GOD Satsang members were invited by the temple management to do Akanda Nama Sankirtan on the New Year’s day. 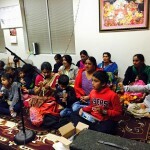 About 60 devotees took part in the satsang. 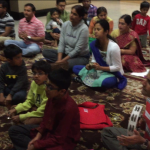 The satsang concluded with the rendition of Vishnu Sahasarnamam and Hanuman Chalisa. 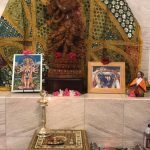 The temple management has invited GOD satsang members to perform Nama Sankirtan at the temple premises once a month henceforth.